We appreciate your interest in our Chrysler Classic Car Showcase page! This was created to show off the great work we do and the happy customers that have already used our restoration services! 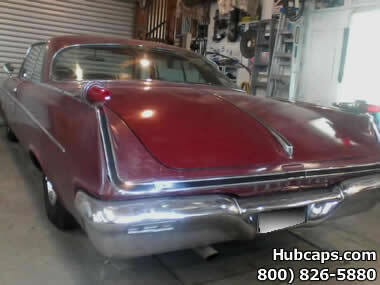 Here at Hubcaps.com, not only do we provide hubcaps for newer vehicles but we also carry a wide range of vintage hubcaps for older cars and trucks. Chrysler was founded in 1925 and is still one of the most well-known and valued automobile marques in the world. Whether old or new, our company has the Chrysler wheel covers that you need, including some classic hub caps featured on our customer pages below. Please feel free to browse and thank you so much for your time!